get current setting by command pinata get daemon > daemon.json. run echo 1 > /proc/sys/vm/overcommit_memory as temporary solution. This will create latency and memory usage issue with redis. By installing the first Redis instance, you can use the configuration as template for your 2nd one. This redis instance listens on localhost:6379 by default. The default redis instance uses /var/lib/redis as its working directory, dumped memory content is saved under this directory with name dump.rdb if you did not change it manually. Make each feature work hard to be implemented. Make each feature prove itself and show that it's a survivor. It's like "Fight Club." You should only consider features if they're willing to stand on the porch for three days waiting to be let in. That's why you start with no. Every new feature request that comes to us — or from us — meets a no. We listen but don't act. The initial response is "not now." If a request for a feature keeps coming back, that's when we know it's time to take a deeper look. Then, and only then, do we start considering the feature for real. And what do you say to people who complain when you won't adopt their feature idea? Remind them why they like the app in the first place. "You like it because we say no. You like it because it doesn't do 100 other things. You like it because it doesn't try to please everyone all the time." They may misunderstand you to be a lazy, always-no man. 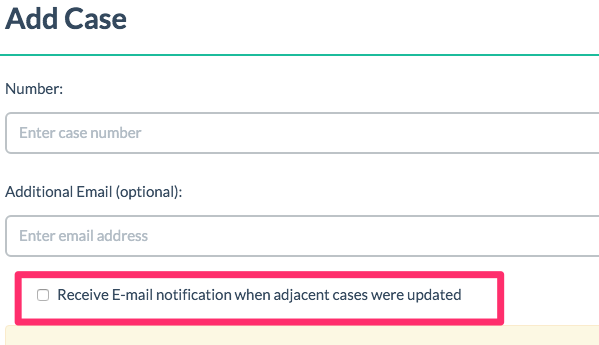 Now, you can get notification if adjacent case status changed. dj-sso-server is a Django application that provides Single Sign-on feature for your project. The dj-sso-server application works as a SSO provider , you can use dj-sso-client (https://github.com/feifangit/dj-sso-client) as the SSO client in other projects need SSO. The dependent package dj-api-auth (https://github.com/feifangit/dj-api-auth) will be installed automatically. The API key will also be bind with a host which is used to limit the origin of SSO requests. The request key in dj-sso-server side will be kept in cache for 5 minutes, so the whole SSO login process should be done in 5 minutes. dj-sso-client verifies the auth token with dj-sso-server via API authtoken/, and get a SSOUser object. dj-sso-server delete the request key from cache once the authtoken/ is called. If there's an already logged-in account on dj-sso-server (say, the project where SSO provider is placed also provides other features, and there's a valid cookies in browser side and valid session on server side), user can select to continue with that logged account. SSO login through dj-sso-server with not affect the login status on dj-sso-server. Since request keys are stored in cache waiting for verification or expiration. If you have multiple application process running in your deployment (gunicorn etc. ), please use proper cache system that can be shared between processes. Memcached and Redis are both great for caching, be aware, the Local-memory caching (django.core.cache.backends.locmem.LocMemCache) is a toy for local debugging. optional, a path to function receives an user object and return a json string. In order to discover and manage APIs, after dj-sso-server is added in an accessible urls.py, run command python manage.py reloadentrypoints to collect APIs to database. From your admin site, create an API key at Single sign-on/SSO credential. All SSO related APIs will assigned to this API Key automatically. dj-sso-client gets a SSOUser object whatever the User model is used in SSO provider project. 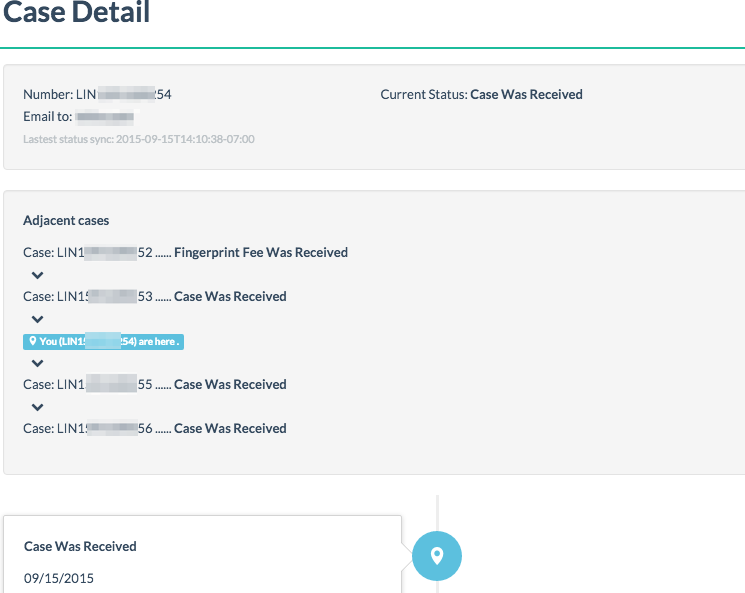 We have a SSO provider application running on Heroku (https://dj-sso-sample.herokuapp.com/). SSO_API_AUTH_SETTING: set API key, SEC key and remote SSO provider URL. This setting is used by underneath dj-api-auth module to proejct API accessing. djssoclient.userstorage.SSOUserCacheStorage: store user data in cache. You will get better performance. The default django.core.cache.backends.locmem.LocMemCache stores data per process. In multi-process production environment (gunicorn on multi-core server), it may cause problem while using SSOUserCacheStorage as your user storage engine. Please use dedicate cache system (Memcached or Redis) as cache backend to avoid this problem. SSOUser is the user model to store user data. It can be used as database model class if you selected SSOUserDBStorage to be your user storage engine. All extra user attributes can be access by getattr method or . operator. And they are stored in class member extras in JSON format. We already have a SSO provider (dj-sso-server) application running on Heroku: http://dj-sso-sample.herokuapp.com/ . Run the example application in folder example/ssoclient/ locally. The API key using in the example application is binding with localhost:8000, so make sure you're accessing local application by localhost:8000 rather than the 127.0.0.1:8000.
you will see user information after be redirected to local application. click sso login on local application, you will be redirected to http://dj-sso-sample.herokuapp.com/sso/...., but you will see a different login page with fresh login.